Opened in May 1997, the Columbia Gorge Discovery Center is the official interpretive center for the Columbia River Gorge National Scenic Area. This multimedia, interactive museum is the interpretive center and the guardian of the natural and cultural treasures of the Columbia Gorge. When in the area, make sure to take the time to experience the Columbia Gorge Discovery Center. Historical museum for appreciating the culture and nature of the Columbia River Gorge and Wasco County. Official interpretive center for this scenic area. 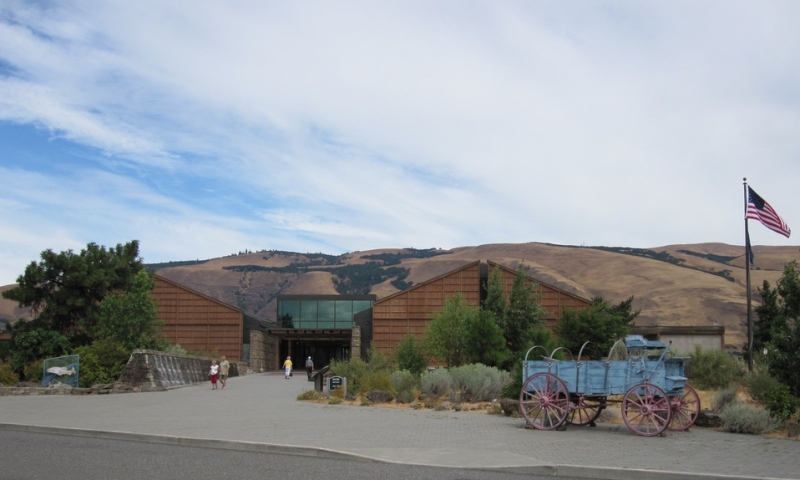 The Columbia Gorge Discovery Center is located near the east end of the Columbia Gorge in The Dalles, Oregon. Here, the fifty-four acres that compose the Discovery Center include paved trails, scenic vistas, and a pond. Inside the buildings, you will find exhibits about the creation of the Columbia Gorge focusing on volcanic activity and flooding. You will also be able to view displays of the unusual plants and animals found in the regions and see exhibits concerning the eleven thousand years of Columbia Gorge cultural history. Outside, you can enjoy native vegetation including blooming native plants that have become adapted to the dry, windy environment of the eastern side of the gorge. An entire area is dedicated to the exploration of the region by Lewis and Clark. Another area offers hands-on activities for children of all ages. For a complete and in-depth understanding of the formation and magnificence of the Columbia Gorge, make a stop at the Columbia Gorge Discovery Center. The Columbia Gorge Discovery Center offers a number of exhibits and programs for the public to learn more about the area.